If you don't get any confirmation from our side on or before 10 October 2015, please email us. Prof. Ghatak retired as Professor of Physics from IIT Delhi. He obtained his PhD from Cornell University. He has several books in Fiber Optics and Quantum Mechanics and some of them have been translated into foreign languages. Professor Ghatak is a recipient of several awards including the 2003 Optical Society of America Esther Hoffman Beller award in recognition of his outstanding contributions to optical science and engineering education. He is also a recipient of the 1979 CSIR S S Bhatnagar award, the 2003 International Commission for Optics Galileo Galilei award and the 2008 SPIE Educator award. Professor Thomas Faunce has a joint appointment in the ANU College of Medicine, Biology and the Environment and ANU College of Law. 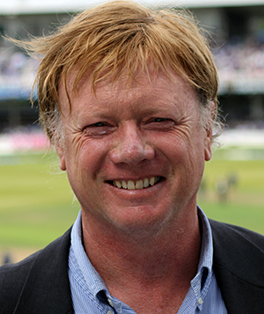 He has been the recipient of an Australian Research Council (ARC) Future Fellowship and has lead numerous ARC Discovery Grant projects, the most recent being to explore the establishment of a Global project on Artificial Photosynthesis with leading artificial photosynthesis researchers from Caltech, Harvard, North Western University, Uppsala and the Max Planck Institute in Germany. He has organised two major international conferences and published widely on this theme. 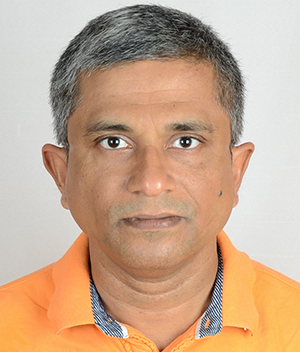 Dr. S. Venugopal Rao has more than TWENTY ONE years of research experience in the field of experimental Ultrafast Nonlinear Optics, Photonics, and Spectroscopy. He had obtained my Master's and Ph.D. degrees from University of Hyderabad, India in 1994 and 2000, respectively. His thesis dealt with Incoherent Laser Spectroscopy for the measurement of ultra-fast relaxation times and third order nonlinearities in a variety of organic molecules, including C60, Porphyrins, and Phthalocyanines. He had spent close to three years as a post-doctoral fellow with Prof. Majid Ebrahim-Zadeh at University of St. Andrews, Scotland, UK working in the area of Semiconductor Nonlinear Optics investigating semiconductor hetero-structures for nonlinear frequency conversion using different phase-matching schemes with femtosecond pulses. From July 2003 until December 2004 he was associated with Centre for Ion Beam Applications group headed by Prof. Frank Watt as a Research Fellow in the physics department at National University of Singapore. His interests at NUS involved proton beam writing and its applications for Polymer Photonics. From December 2004 to May 2007 he was associated with the physics department of Indian Institute of Technology, Guwahati as Assistant Professor focusing on development of a Nonlinear Optics and Photonics laboratory. 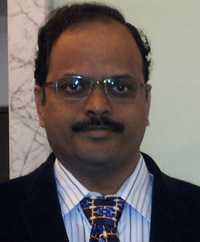 Since June 2007 he is associated with Advanced Centre of Research on High Energy Materials (ACRHEM), University of Hyderabad working towards understanding the interaction of nanosecond, picosecond, and femtosecond laser pulses with high energy materials using various spectroscopic techniques such as laser induced breakdown spectroscopy, pump-probe studies, ultrafast ablation, and femtosecond laser direct writing. He has published >200 papers in refereed international journals/conference proceedings, presented >150 papers presented in various international/national conferences. He has given >35 invited talks at various national/international conferences/meetings. His papers have >2500 citations (GOOGLE SCHOLAR) with a h-index of 29. He is the recipient of the NASI-SCOPUS award for the year 2012 in Physics category. 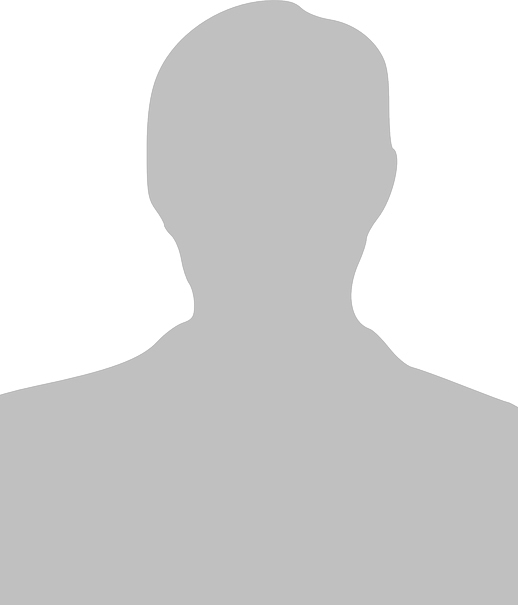 He has also been elected as SENIOR MEMBER of OSA, SPIE, and IEEE. He is an Associate Member of AP academy of sciences. He is now serving as an Associate Editor of the journal RSC Advances. ANURAG SHARMA did his postgraduate education at Indian Institute of Technology Delhi getting the Ph.D. degree in 1979. In 1978 he joined the Department of Physics, Indian Institute of Technology, Delhi, where he is currently a Professor of Physics. Since 1975, Prof. Sharma has been working on electromagnetic wave propagation in dielectric media with applications to waveguiding and imaging. 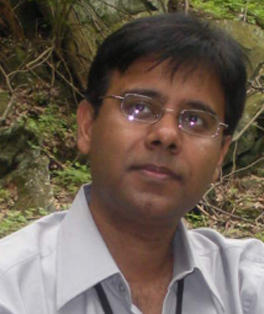 He has coauthored a book Understanding Fiber Optics on a PC, which includes a software diskette, and has published over 90 research papers in reputed Journals including several review papers on characteristics of single mode fibers and waveguides, numerical simulation methods and the method for design and analysis of gradient index imaging systems. He has also presented over 150 papers in national and international conferences. He has also edited a book Guided Wave Optics: Selected Topics. 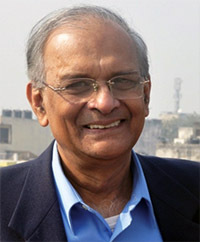 Prof. Sharma is a recipient of the Shanti Swarup Bhatnagar Prize (1998) in Engineering Sciences. He is also a recipient of the Indian National Science Academy's Medal for Young Scientists (1986), A.K. Bose prize (1991), the Homi Bhabha Fellowship (1990-92), M.N. Saha Award (1999) of the UGC and the S.K. Mitra Memorial Award of the IETE. He has been an Associate (1988-99) and Senior Associate (2001-2008) of the Abdus Salam International Centre for Theoretical Physics, Trieste (Italy). He was an Alexander von Humboldt Fellow during 1982-83 at University of Karlsruhe, Germany. He is a fellow of all the three science academies in India, namely, the Indian National Science Academy (New Delhi), Indian Academy of Sciences (Bangalore), National Academy of Sciences (Allahabad). 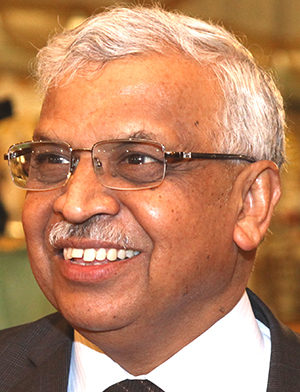 He is also a fellow of the Indian National Academy of Engineers, the Optical Society of America (USA) and the Institution of Electronic and Telecommunication Engineers (India). He has been the Vice-President of the Optical Society of India. Professor Shevgaonkar received his B.E. 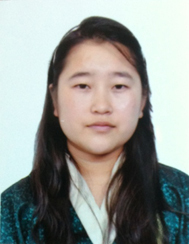 degree with Gold Medal in Electrical engineering from Jiwaji University, M.Tech. from IIT Kanpur and PhD. from IIT Bombay. He was a Scientist at Indian Institute of Astrophysics and Raman Research Institute. After doing his Post Doctoral fellowship at University of Maryland, USA, he joined IIT Bombay. He has occupied various positions at IIT Bombay like Dean of Students’ Affairs, Dean of Resource Mobilization, Head of Department of Electrical Engineering, Founder Head of Centre for Distance Engineering Education Programme, and Deputy Director. He was the Vice Chancellor of University of Pune and Director of IIT Delhi. He has been a Visiting Professor at University of Lincoln, USA, and ETH, Zurich, Switzerland, and ISEP Paris, France. Dr. Shevgaonkar has been an active researcher in the area of Optical communication, Image processing, Antennas, Microwaves, Radio astronomy etc. He has published more than 170 papers in international journals and conferences, and two books namely Electromagnetic Waves and Transmission lines for Electrical Engineers with McGraw Hill Education. His video and web lectures on Electromagnetics and Fiber optic communication are used worldwide through YouTube. Dr. Shevgaonkar is recipient of IEEE Undergraduate Teaching award 2011, IETE award for his outstanding contribution to Optical communication, and the ‘Excellence in Teaching’ award of IIT Bombay. He has received the Education Leadership Award 2012 from Headlines Today, New Delhi. He is also a recipient of VASVIK Award (2009) in the category of Information & Communication Technology, IETE – Ram Lal Wadhwa Award (2013) and IEEE William E. Sayle Award for Achievement in Education (2014). He is Fellow of IEEE, Fellow of Indian National Academy of Engineering, Fellow of National Academy of Science, India, Fellow of Institution of Electronics and Telecommunication Engineers, Fellow of Optical Society of India, Fellow of Institution of Engineers, Fellow of Maharashtra Academy of Sciences, and Member of International Astronomical Union and Astronomical Society of India. He has been a member of many international and national research and educational committees. 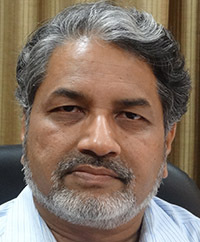 Chandrabhas Narayana is a Professor with Chemistry and Physics of Materials Unit, at Jawaharlal Nehru Centre for Advanced Scientific Research, Bangalore (JNCASR). After receiving his Ph.D. from Indian Institute of Science, Bangalore (IISc),he worked as a postdoctoral fellow in the Materials Science and Engineering department at Cornell University, NY, on Metallic Hydrogen. 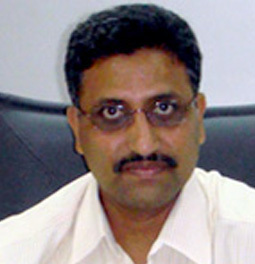 Dr. Narayana then joined JNCASR as an Assistant Professor in 1998. His research group is mainly interested in materials physics and chemistry, broadly looking at the optical, structural and mechanical properties of materials at the microscopic levels under extreme pressures or temperature. Prof. Narayana has been recognized through various awards such as the Sir C.V. Raman Young Scientist Award, Materials Research Society of India, Bronze Medal. He is a fellow of National Academy of Sciences, India. Rajaram Swaminathan completed his Ph.D. from Tata Institute of Fundamental Research Mumbai. His doctoral work involved use of the endogenous fluorescence of tryptophan in proteins to understand their structure and dynamics. During his postdoctoral stint at the University of California San Francisco, he investigated the diffusion of synthetic probe like BCECF and endogenous probe like green fluorescent protein inside the cytoplasm and mitochondrial matrix of live mammalian cells using techniques like fluorescence photobleaching recovery. He joined IIT Guwahati as an Assistant professor in the Department of Chemistry in 1999. Subsequently from 2002 he shifted base to Biotechnology, where he played a role in establishing the new Biotechnology department at IIT Guwahati. Currently he is serving as Professor in the Biosciences and Bioengineering department at IIT Guwahati. His research focus has been targeted towards understanding the structure, function and dynamics of proteins using biophysical techniques. His research interests include: Protein aggregation, Enzyme catalysis under crowded physiological conditions and point-of-care diagnostics for human diseases. Bosanta R Boruah did his MSc in Physics from IIT Bombay in the year 1997 followed by his M Tech in Applied Optics from IIT Delhi. He joined Gauhati University as a lecture of Physics in the year 2001. He then completed his PhD from the Photonics Group of Imperial College London in the year 2007. 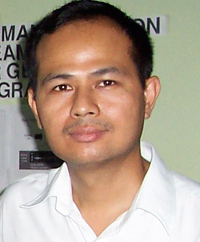 Dr Boruah joined IIT Guwahati as an assistant professor of Physics in the year 2009. He was nominated for the Japanese Government (Monbusho) Scholarship and was the recipient of EPSRC, UK, studentship and Paul Foundation overseas scholarship. 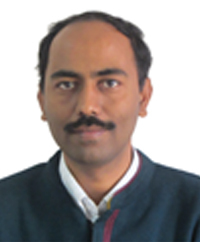 Currently Dr Boruah is continuing in IIT Guwahati as an associate professor. His present research interests are programmable diffractive optics, Optical microscopy, laser trapping, wavefront sensing and high numerical aperture focusing of light beams. Dr. Boruah is a regular member of Optical society of America and SPIE, and a referee of most of the popular optics journals. © 2015 , IIT Guwahati. All Rights Reserved.